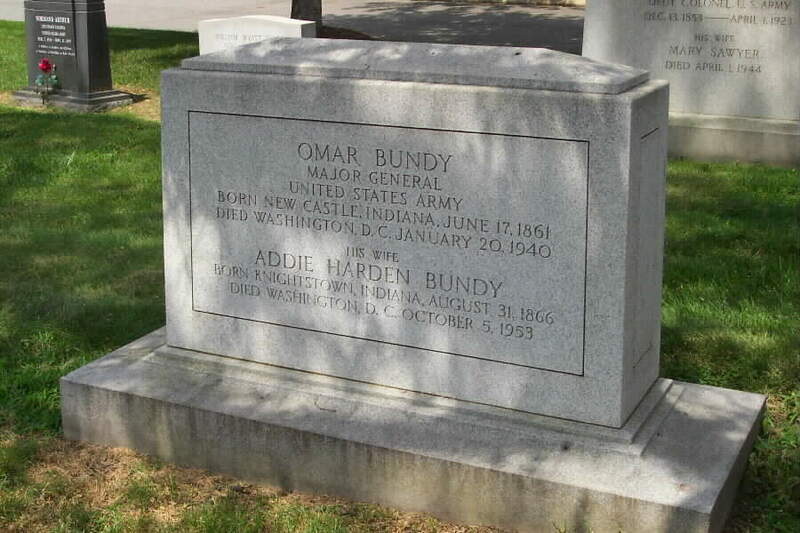 A veteran of the Indian Wars and the Spanish-American War in Cuba where he was cited for gallantry at El Caney. He fought in the Philippine Insurrection and the Moro Expedition and commanded a regiment on the Mexican Border. He was promoted to Major General and left the 1st Infantry Division in August 1917, taking command of the 2nd Infantry Division. In July 1918, during World War I, he commanded VI Corps and in September 1918 was transferred to VII Corps. 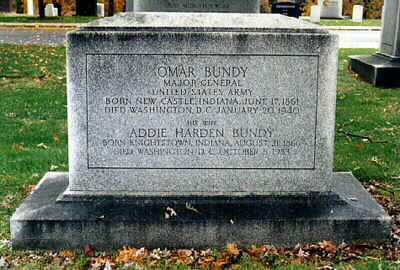 After the war he commanded Camp Lee, Virginia, VII Corps Area at Fort Crook, Nebraska, the Philippine Division, and finally the V Corps Area at Fort Hayes, Ohio, when where he retired in 1925. 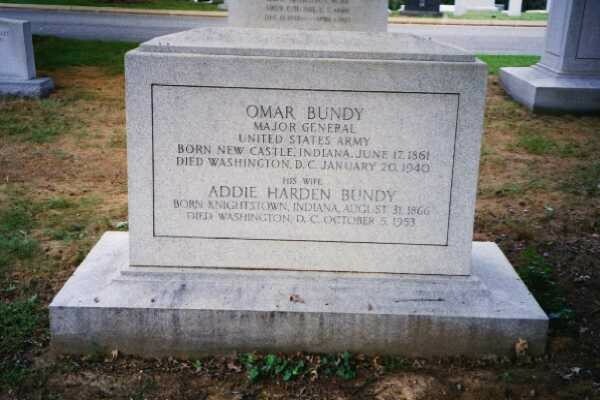 He had been born in New Castle, Indiana, on June 21, 1861 and died in Washington on January 20, 1940. 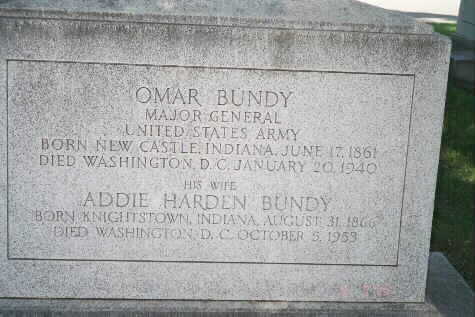 He is buried in Section 3 of Arlington National Cemetery with his wife, Addie Harden Bundy, who was born in Knightstown, Indiana, on August 31, 1860 and who died in Washington on October 5, 1953.